For the third year, we are hosting Langlais Sweet Cider Day! 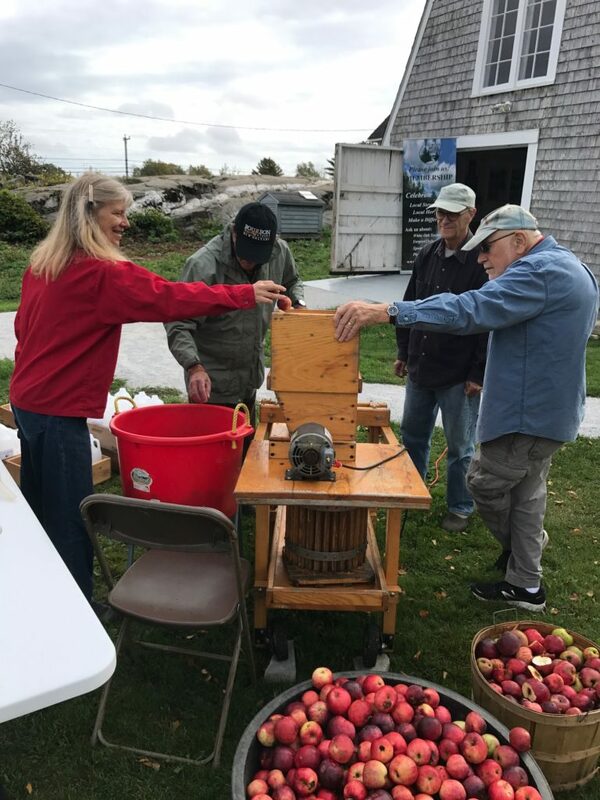 Charles Waite Maclin, also known as Pastor Chuck of Pastor Chuck’s organic apple products, will be bringing his small cider press and the know-how to create some delicious cider with our own organic Langlais apples. Pastor Chuck’s dream is to create the best applesauce and apple butter in the world, originated in his own family’s kitchen in Cushing. He also works with the Cushing Community School and their Green Team. Bring your kids and your friends to sip some cider among the giant outdoor wooden sculptures at the Langlais Sculpture Preserve in Cushing. There will be plenty of samples to try, and fun fall-oriented activities suited for children. Donations to support the Preserve are welcome!